"Whaling is community. It takes a village to pull up a whale," says whaling captain Ned Arey. This bowhead, caught by Arey crew, is being pulled onto the ice by dozens of Iñupiat, who work tirelessly for 8 hours or more. 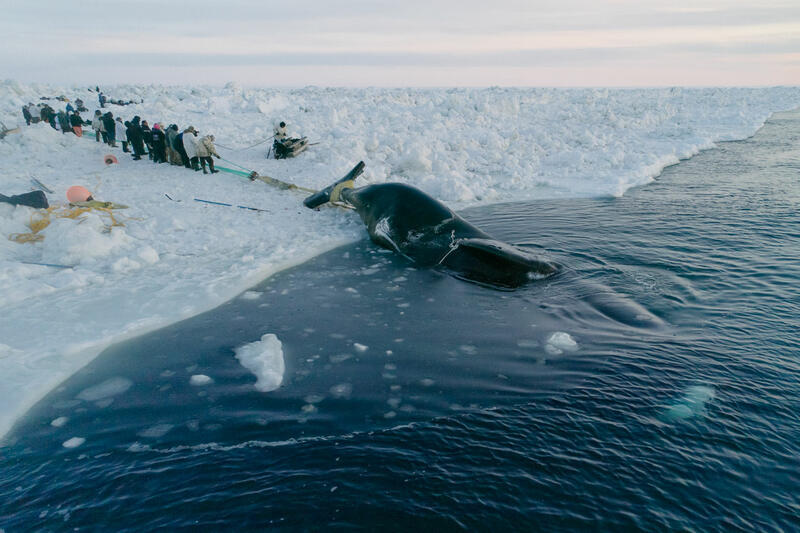 This whale took broke through the thin sea ice several times before being abandoned due to the danger-- a major symptom of the warming Arctic Ocean.